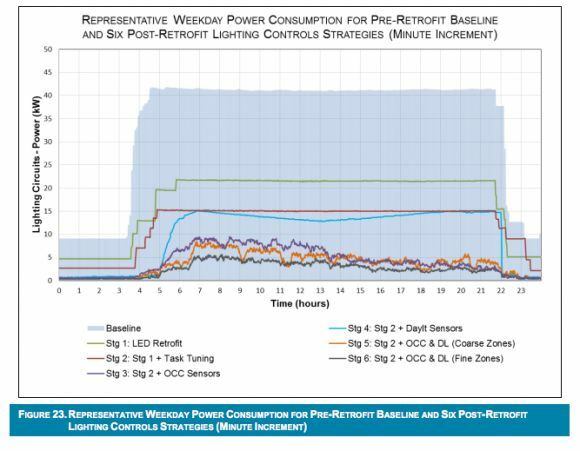 PG&E, California's largest utility, wanted to know how much energy controllable LEDs could save its industrial customers. It recently found its answer: a lot. Earlier this year, the utility tested the performance of a networked LED system at a 44,800-square-foot Ace Hardware distribution warehouse in California. The system was installed and controlled by Digital Lumens, a Boston-based company with more than 500 projects deployed in the commercial and industrial sector. Digital Lumens says its system, which combines monitoring software, building controls and LED fixtures, can save customers up to 90 percent on lighting costs. As part of a mandate to procure new technologies under California's Emerging Technologies Coordinating Council, the state's investor-owned utilities are working with vendors to monitor the performance of LEDs, home energy management platforms, demand control ventilation and a range of other systems. 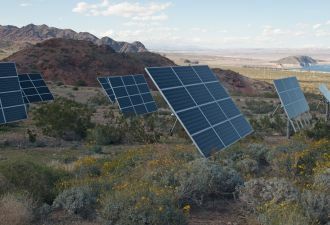 The program is designed to help power companies like PG&E figure out what to deploy in the field to meet their efficiency and renewables targets. 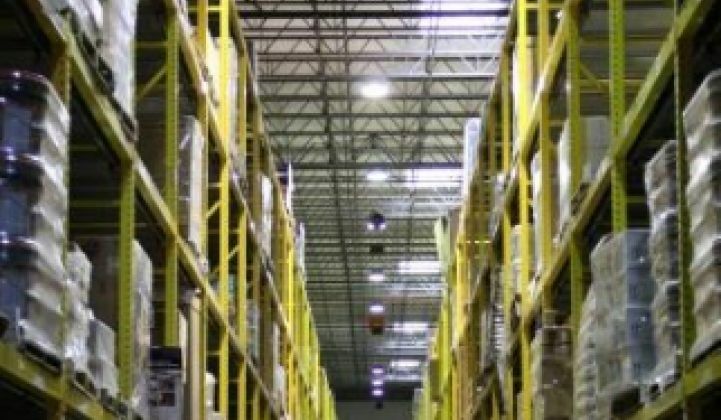 PG&E replaced over 100 metal-halide high bay luminaires with LEDs in the Ace warehouse. It then tested a variety of scenarios, ranging from no controls to a highly granular approach to monitoring the lights. The results backed up what Digital Lumens and other similar companies have claimed. Simply replacing the metal-halide luminaires with LEDs resulted in a 50 percent reduction in energy use from the baseline. By adding in controls that enable the LEDs to react to occupancy and daylight quality, the system enabled a 93 percent drop in electricity consumption from lighting. The controllable LED system cost $117,935 to install. That may seem like a tough sell. But when PG&E modeled the savings, it found that the granular monitoring approach offered the shortest payback period of 3.6 years. When factoring in deferred maintenance, the payback period fell to 2.5 years. 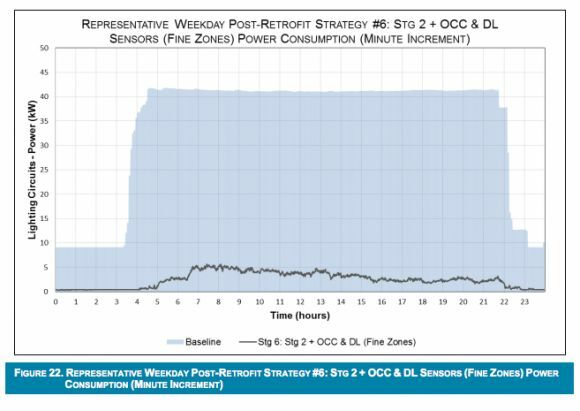 "The deepest energy savings are possible with the most aggressive controls strategies," concluded PG&E. The utility also surveyed workers in the warehouse on their reaction to the quality of light, finding that occupants "prefer the lighting conditions of the post-retrofit." So if these systems cut so much electricity consumption and provide better lighting quality, why isn't every company investing in intelligent LEDs? This was a technical study, so PG&E does not try to answer that question. But in our continued conversations with intelligent efficiency companies like Digital Lumens, the problem largely lies in customer education. "I think in many ways, we’ve gotten through technical maturity and we’re now in a phase of adoption," said Digital Lumens CEO Tom Pincince in an interview for our Intelligent Efficiency report. "Customers haven’t known much about the technologies." Savvy customers are, of course, skeptical about performance claims and want proof that the savings will materialize. But with more systems now in operation, lighting companies are accruing the data to back up their claims. Energy managers in commercial and industrial facilities are also hesitant to cede control to another company with a "smart" software platform. Intelligent lighting vendors (and any other similar vendors offering automation) often need to phase in the smarts over time to give skeptical customers a chance to get comfortable. But once they get a little bit of controllability, customers often ask for more, said Pincince. "When they get a taste of energy efficiency or a taste of automation, they begin to think very quickly about what they could do next," he said. Tests like the one conducted by PG&E are yet more proof that the savings can be realized. The remaining challenge is convincing customers of that. Read the full results of PG&E's test here.